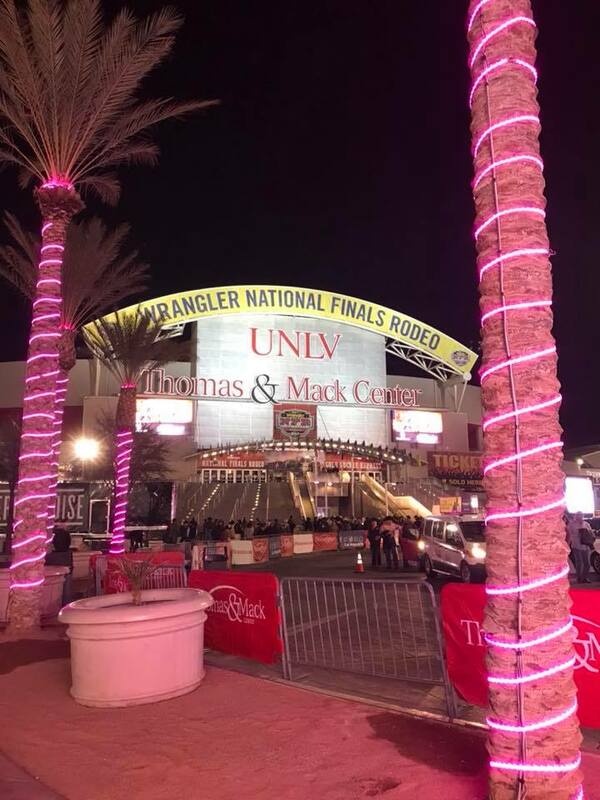 Tuesday night was an incredible night at the Wrangler National Finals Rodeo, with the Thomas & Mack Center awash in pink. We were proud to honor our Gold Buckle winner, Diane Matousek, and send out the following news to everybody in America! Thank you all for your support! Las Vegas, NV. Dec. 11, 2017. 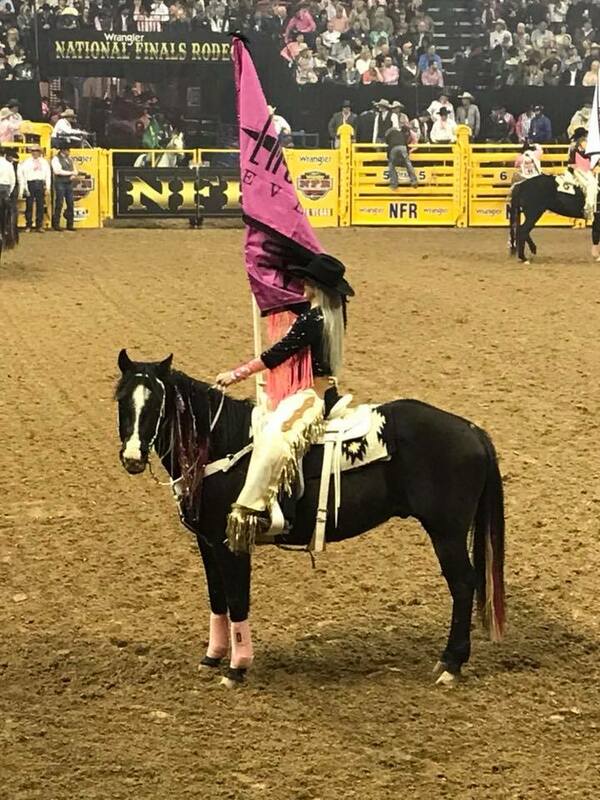 A milestone was reached Monday night at the 13th Annual Wrangler® Tough Enough to Wear Pink™ (TETWP) Night at the Wrangler National Finals Rodeo. The grassroots cowboy campaign has exceeded the $26 million fundraising mark! Along with the generous support of western businesses such as Wrangler, Montana Silversmiths, Las Vegas Events, Twisted X Boots and Purple Cowboy wines, Wrangler TETWP relies on the hard work of regional rodeos and western events across the country. The strength of the TETWP is that funds raised stay locally to benefit community breast cancer charities. It is the dedication of volunteers on the ground at local events that drives the campaign. “When we started the Tough Enough To Wear Pink campaign in 2004 our goal was to reach $50 million raised by the 20th anniversary in 2024. 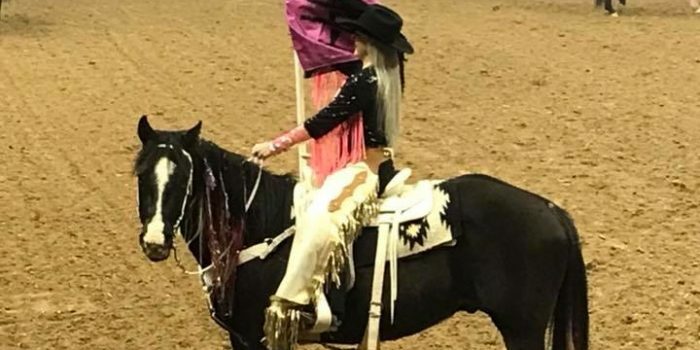 What seemed an impossible dream at the time is well on the way to becoming a reality thanks to the hard work of the rodeo committees and events and support of our sponsors,” commented Wheatley, herself a breast cancer survivor. A notable example of the grassroots efforts is the #1 PRCA rodeo fundraiser, Cattlemen’s Days Rodeo in Gunnison, Colo. A long-time Top Five Wrangler TETWP fundraiser, the Gunnison western community has raised close to $2 million over the years to support the fight against breast cancer in their hometown. Among their goals is to make Gunnison Valley Health the number one rural hospital for breast cancer care in the U.S. by providing funds for services, medical equipment and support.